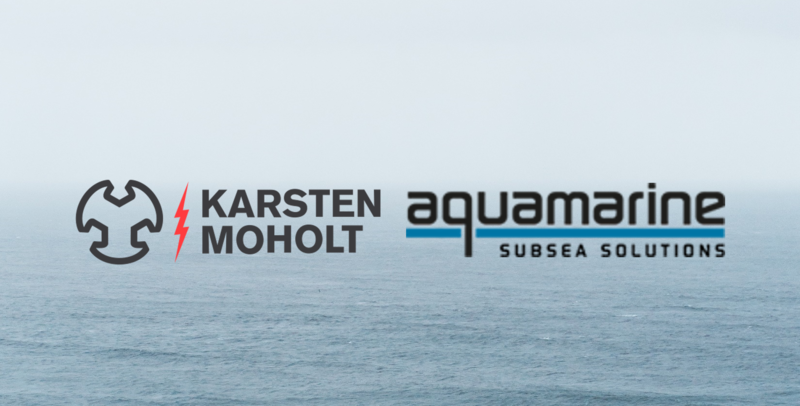 Karsten Moholt AS has an AOSS certificate from DNV for: Condition monitoring of machinery on board ships and Mobile Offshore Units, in accordance with Class Programme DNVGL-CP-0484. Check out: https://approvalfinder.dnvgl.com/ Suppliers delivering services relevant to ship operations or the classification of ships need to fulfil specific requirements. 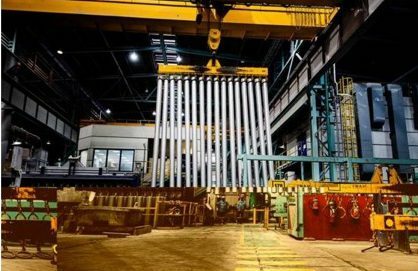 They are subject to approval when serving DNV GL ships. 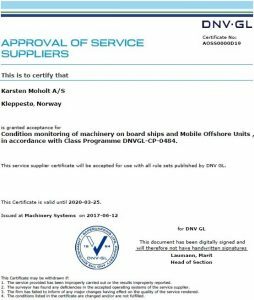 DNV GL experts approve the service supply business according to DNV GL rules. This ensures that the company meets common requirements in terms of qualification, capability and delivery. Take contact with Karsten Moholt for solutions for condition monitoring and smart classing.